All Terrain Mobility -for ALL your mobility needs! | For mobility scooters, rise & recline chairs, wheelchairs, WAV's, Stairlifts, daily living aids, incontinence products and much much more. We are near Rochford, Southend, Rayleigh, Hockley, Wickford, Basildon, Shoebury, Westcliff, Basildon, Greys, Thundersley, Hadleigh, Benfleet, Essex. 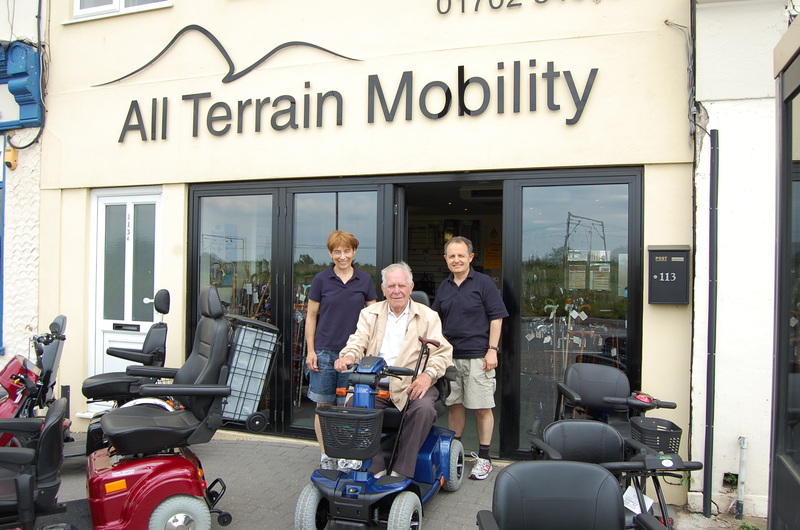 When we opened All Terrain Mobility near Southend Airport in Essex in 2009, we wanted to create a mobility centre with a difference, with the emphasis less on the restrictions that disability can bring, and more on what our customers could achieve with our help. 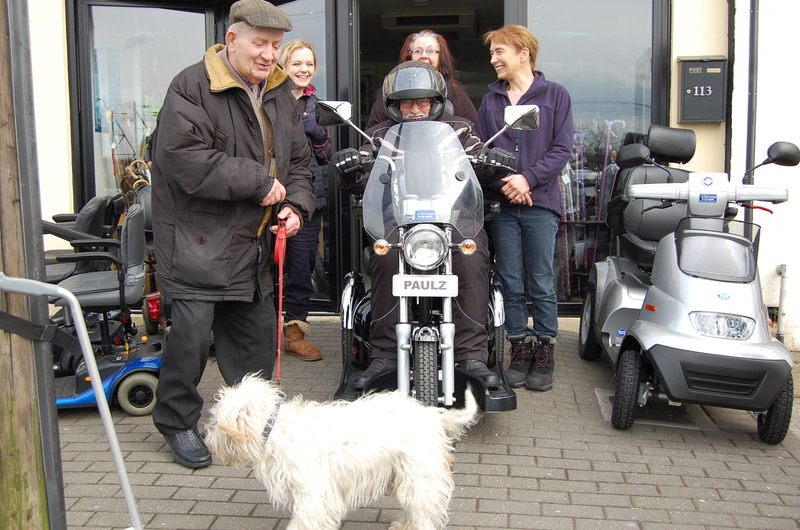 With this in mind our aim is to become known as the best stocked and, hopefully, the most helpful mobility shop in the area, with the very highest standards of customer service. We stock an extensive range of mobility scooters, rise & recline chairs, wheelchairs, powerchairs, walking aids, rollators, walking sticks, daily living aids, bathlifts and incontinence products. We supply and fit tailor made stairlifts throughout Essex. We also sell wheelchair accessible vehicles. Our aim is to be a “one stop mobility shop” where you will find everything you need under one roof. 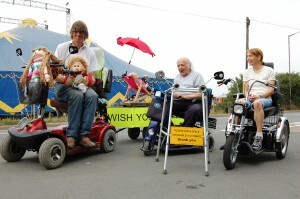 Whether you are looking to buy a mobility scooter, that will take you across fields and up hills, or a small specialised piece of equipment, our aim is to be able to always say “yes” to whatever request is made of us. If we don’t have what you need in stock, we can usually get it for you within a couple of days. We are located at 113 Southend Road, Rochford Essex SS4 1HX right opposite Southend airport where they keep the Vulcan bomber -in the parade of shops near the Anne Bolyen pub.We serve customers from all over Essex. Happy customers having fun on mobility scooters! There is never a dull moment at All Terrain Mobility! Ian and Liz with their dear friend Basil on his mobility scooter. 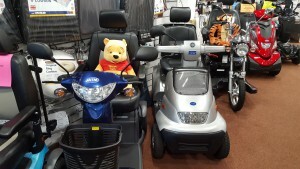 A selection of out brand new class 3 large mobility scooters. From front to back the new ATM Juipiter, the TGA Breeze 4s, the ‘Harley Davidson’ style ATM Easy-rider, the ATM Dream-rider and the Scooter Tech Atlas european built dual motor super scooter! All Terrain Mobility are your ‘One stop shop’ for All Your Mobility Needs! We have customers in Southend, Rochford, Rayleigh, Hockley, Westcliff, Leigh -On-Sea, Basildon, Thundersly, Hadleigh, Benfleet, Basildon, Billericay, Wickford , Grays and all over Essex.